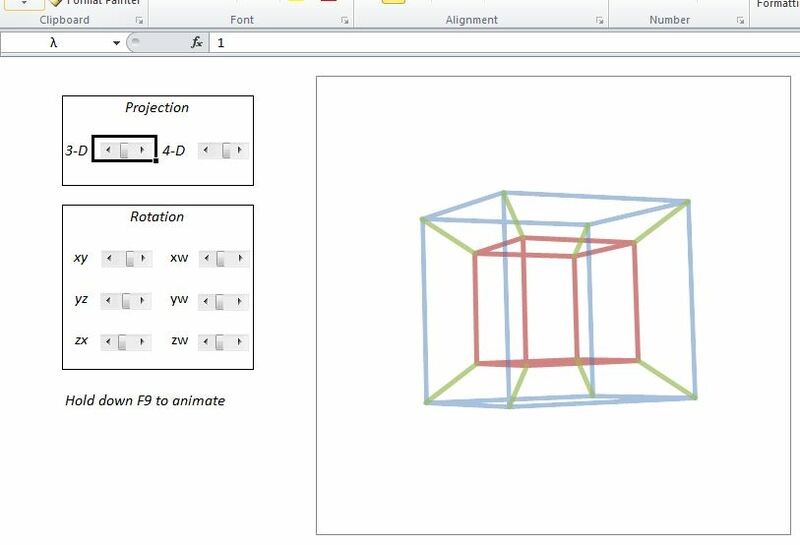 In response to the 3D Intersections and PView Function posts Lori Miller has sent me two very elegant alternative ways of achieving similar results. Note that if the lines intersect, Point 1 and Point 2 will have the same coordinates, otherwise they will be different. It took me some time to work out how this one worked. The file is an xlsx, so there is no VBA, but also there is no visible data (other than a single number associated with each of the slider bars), but no hidden rows, columns or sheets either. 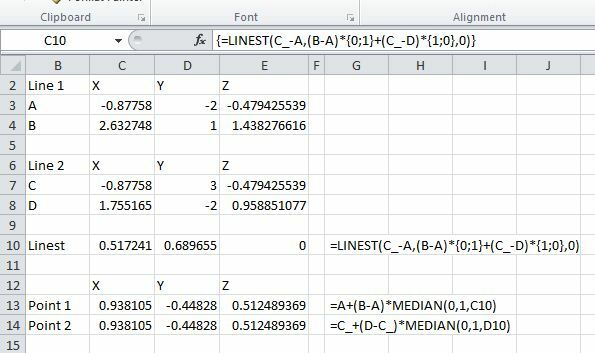 The secret is that all the data and calculations are in array formulas in defined names. Have a look in the name manager and see if you can work out the algorithm. This entry was posted in Arrays, Charts, Charts, Coordinate Geometry, Excel and tagged defined names, Hypecube, IP, perspective projection. Bookmark the permalink.